Set your slalom Course on fire !!!! - Removed corner case: rope angle 0 is now detected as a wake change. - Changed: Time and wake change are now exclusive. Wake change takes priority. - Extra time at exit gate removed. Buoy timing is based on slow boat speed table. No need for extra time. This version however has a problem with the USB operation if used on USB3 ports. USB2 has no problem. - Time and date is kept by a battery back-up'ed clock. The user needs to verify if it is correct at powering up and correct if needed. The time cannot be changed as long as the device is powered. - Calibration is required after each powering up. CAS guides the user through this process. This step is mandatory and cannot be skipped. 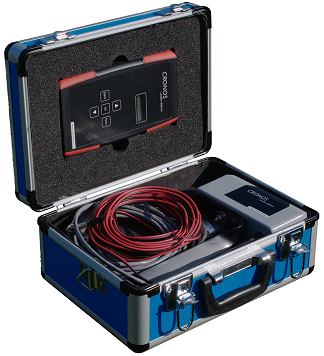 It is the responsibility of the user to perform a correct calibration. The calibration cannot be changed as long as the device is powered. The actions above are mandatory at every power up. CAS guides the user through these steps via the instructions on the display. Calibration instructions can be found in the CAS manual. -Bouy width: CAS aims to come as close as possible to the buoy width of a real slalom course. 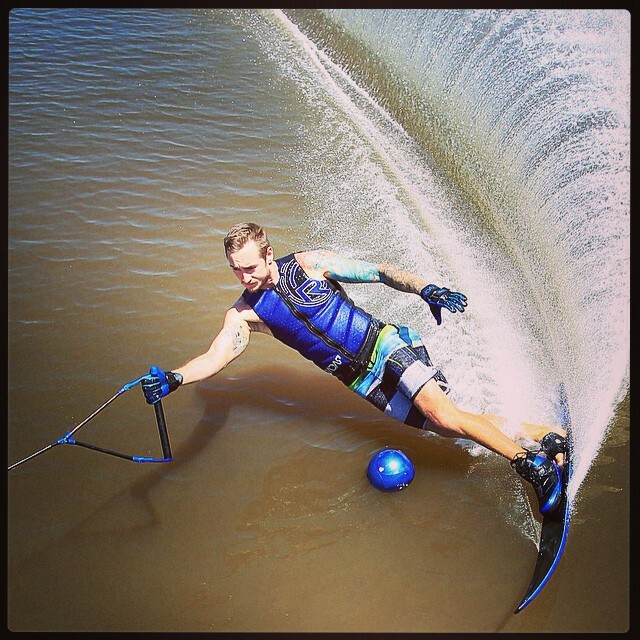 A real slalom course can be used to get a visual impression. But be aware that small deviations can exist. - All buoy timing is only active in competition mode. Buoy timings are based on the slow boat timing table from the rule book. The timing in CAS is based on the proposal made by the counsel which was communicated to use via Dany on Feb 2 2016 to CAS mail account. All timings measured are related to the skier. 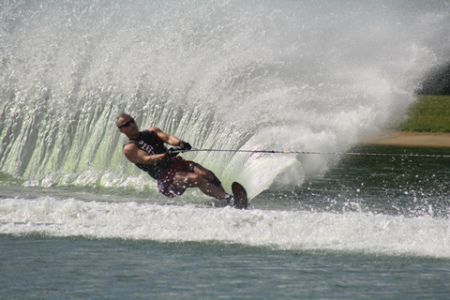 - the skier gets a auditive signal when the boat passes the pre-gate. He/she may start his/her slalom course early. If the skier does not do so before he/she comes on the level of the entry gate, CAS starts the timing automatically. Informing the skier with an auditive signal. This is as decribed in the Rule book. - An auditive signal is given at the moment CAS detects that the skier deviates enough from the center line. Be aware that the auditive signal is not an indication to turn. The visual impaired skier may round a buoy earlier, but not later than the time limits. This is a deviation from a regular slalom course. A regular skier passes through the exit gate buoys and does not cross the center line any more. CAS mimics this and flags the end of the course at the same exit gate buoy width. Crossing the center line at the entry gate is not mandatory with CAS. The visual impaired skier may come back to the center line after rounding buoy 6 earlier, but not later than the time limit. This is a deviation from a regular slalom course. The SLOW boat speed time table is used as time limits. In order to round buoy N, the skier needs to both round buoy N and cross the center line before the time of buoy N+1. There is no lower limit. The time limit at the exit gate is set to the time of the exit gate itself.